Who may make an application on this basis? If you have a partner and/or a child in the UK, and they are required to leave, Article 8 may be breached because if they leave the country this would result in you being separated from your family. 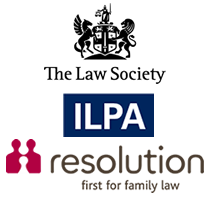 You would need to show that it would be unreasonable for your child to leave the UK or that you and/or partner would face insurmountable obstacles if required to continue family life outside of the UK. Further, if you have been in the UK for an extensive period of time, and have established strong and substantial ties in the UK, Article 8 may be breached if you are required to leave the UK and go to another country. You are over 18 years and under 25 and have spent at least half of your life living continuously in the UK. Article 3 may be breached if the Home Office and its immigration officers require you to leave the UK, which would expose you to a real risk of ill-treatment.